With the constant advances in the world of technology today, it is becoming increasingly popular to use artificial lights for the growth of plants. These artificial lights provide a spectrum similar to that of the sun to stimulate photosynthesis where the natural process is not possible or difficult to carry out such as in the months of winter where the days are very short, and hence, plants attain very little sunlight. We researched about a lot of these products and had found one of the best ones in the Kessil LED Spectral. 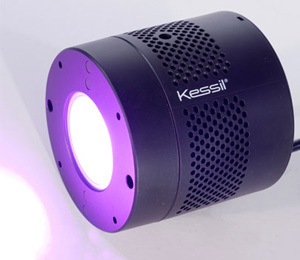 So the Kessil Spectral is a full spectrum light designed for horticulture, fitted with powerful ultraviolet chips. This model builds upon its predecessor line and is much more powerful giving more output. The user can switch between spectrum in this device, increasing the efficiency and effectiveness of the device. Plants require different volumes of light at different intervals for a smooth growth, and this is just what this light does thanks to its dual spectrum technology, making the whole process easier for you. The light is 11.9 x 7.6 x 5.7 inches in dimension and is not the biggest, making it easier to be transported. Weighing only 3.4 pounds, the H380 can be moved from one place to another freely, along with the power supply and extension cords it comes with. It consumes 90 watts of power at most, making it more efficient than other similar products. The plants are provided with the necessary nutrient levels at the different growth stages. In the vegetation state, it is given the extreme purple spectrum making sure the plants grow lush and beautiful. In the bloom stage, the plant is given the extreme magenta lights to increase yield and quantity to its fullest. The spectrum lights are further improved with the installation of UV chips. Not just this, the Kessil H380 is further improved with the new design that improves the focus and power of the light with the new high-quality lens and reflector that ensure minimal loss of light. A few benefits accompany the product such as the ease of use and user-friendliness of the product. The product does not need to be assembled and is ready to use the equipment. The product runs cool, and one can even save on energy and money as compared to similar other products. The new and improved LED lighting allows for lush and strong growth and vegetation in abundance. Always use the power supply provided with the Kessil H380, do not use any other power supply. The light is specifically designed to work indoors – so do not use it outdoor. Keep the H380 away from water and do not expose to extreme humidity. Keep sharp things away from it. Do not place it within close proximity to other objects. Never cover or place objects on the power supply. At around $300 the product may burn a hole in your pocket. However, as read above, the product may be worth every penny. 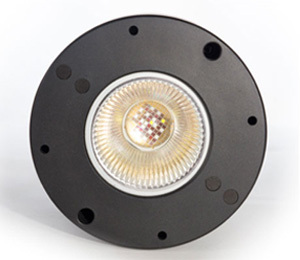 The efficiency and effectiveness of the new matrix LED technology have no match, and the advanced thermal management system is the best of its kind, providing the plans with the most smooth growth process possible. If you don’t believe me, just take a look at the reviews of the product. With a 5 star rating on Amazon, you just cannot go wrong with the Kessil H380. 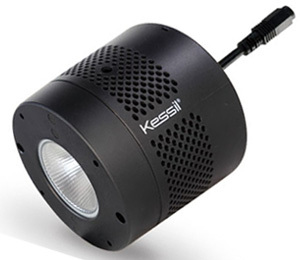 Maintenance of this light is almost non-existent, and the operation of the Kessil H380 is fantastic and easy to use.